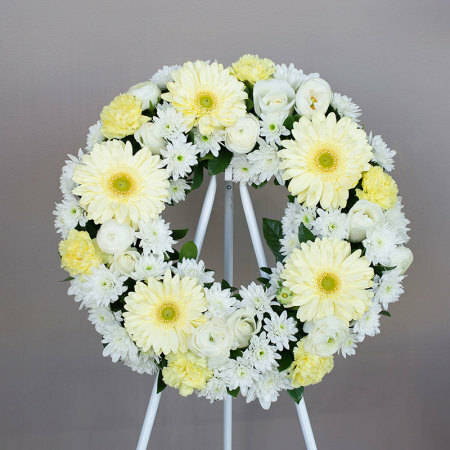 This stylish sympathy wreath contains seasonal flowers in classic white and cream including roses, gerberas, carnations and chrysanthemum. The graceful way to say goodbye and express your message of sympathy. Stand available for hire only.